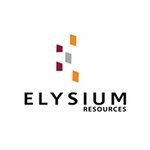 Elysium Resources Limited (ASX:EYM) now Hardey Resources (ASX:HDY) has prospective gold and base metals projects in WA’s Pilbara and Paterson regions. The projects are each prospective for conglomerate-hosted gold and high grade orogenic gold. Elysium Resources (ASX:EYM) has officially joined the Pilbara gold rush with the acquisition of a portfolio of highly prospective tenements.